Artist and gardener. 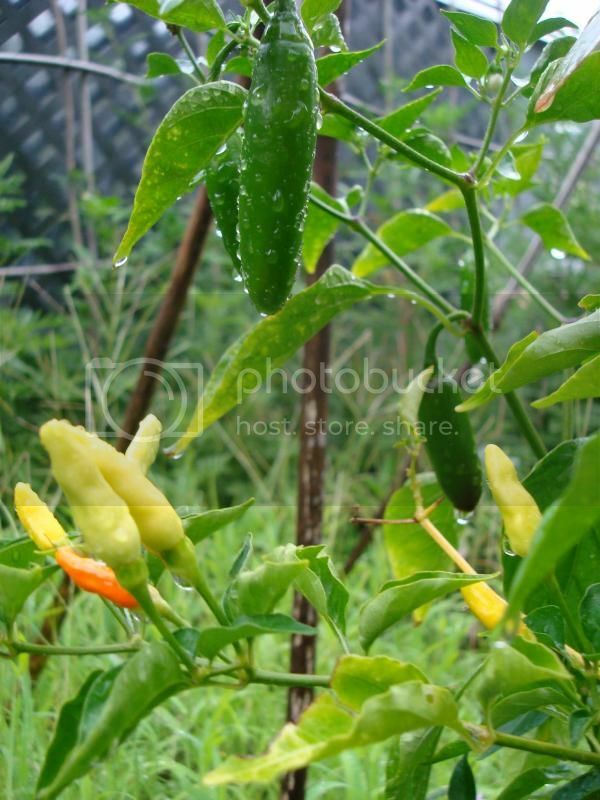 Have a large garden and greenhouses, overwinter all my peppers and eggplants. A little bit of everything...will have to make a more concise list when I can. I know I have over 2 dozen or more varieties growing. Caribbean Red habanero, orange habanero, jalapeno, low growing cayenne, red bell, yellow bell, orange bell, Thai (small 1/4" x 3" fruit) I have a few more.... all were grown in my garden without pesticides or chemicals. However I will state I did not use any barrier methods for pure seeds so these seeds may or may not be crossed, just thought I would tell you up front. WOW!!! I like your set up with the 5 gallon buckets... a few of mine are headed that size next year. WOW!!!! Impressive! Beautiful plants, they are lucky to have you taking care of them!!! Ok, this is my first 'post', I've responded to other folks' posts but haven't made one of my own, principally because I didn't know how to post photos. I still may not, hopefully these will post without too much trouble. Anyway, I thought I would try posting a picture before I head out for the evening... lol..these are some of the pepper plants I have in my pepper garden. I will hopefully have plenty of seeds to share later this season.... some I have right now. But let's just see if this picture will post. lol... if these don't work out don't get too mad. LOL!!! --- ok, they uploaded!!! (Well, I can see them, hopefully you can, too... ) Now I'm going to be driving you nuts posting all my pepper pictures. LOL!!! From top to bottom: 'Chili Red' a red chile with good flavor, abundant pods. 'Serrano' (the bigger pepper) and 'Tabasco' peppers. I have a bunch more pepper plants and varieties, including some super hots that have not flowered or podded yet.... but I'll keep you updated, of course! #651730 TabascoKilla's 2012 GLOG... LET THE PODS BEGIN! Wow, you have the neatest varieties. Maybe I should crawl out of my cave more often but never heard of a gold cayenne... sounds interesting. My friend brought me a purple cayenne, the leaves are purple like, not sure what the fruit is supposed to look like, I guess we'll find out soon enough. Was the plant exposed to frost? (I know it's a silly question but if it's cold out sometimes this can happen even if they are inside and the leaves touch the window or something).... they look really strange, never seen anything QUITE like this. The basil, I would have said put it in water that might help, but it seems you have already done that. lol... and it has a root.... rooting in water, the water needs to be changed daily or at most every other day- if it's cloudy, change it. I learned this the hard way, it goes sour and bad really quick. It could be that if the water was cloudy, buildup of bacteria. I just like to root things (even pepper cuttings) in the soil they are going to start off in, it's so much easier, just have to keep it moist. Hope this helps. #651289 TabascoKilla's 2012 GLOG... LET THE PODS BEGIN! Wow that's a really cool collection of seeds.... I especially like the 'habanero mix'. I didn't know there were yellow ones.... they don't have 'the international collection' down here..lol.... I have the orange ones and a red habanero type...they were really huge. #650208 TabascoKilla's 2012 GLOG... LET THE PODS BEGIN! Oh wow, that sounds like a good variety of peppers. I have grown Tabascos on and off for years now...they are one of the best most productive peppers ever. I once had a couple that I had for a few years and they got about 5 feet tall.... then one winter they froze. :/ I have a few that I overwintered and they are about 2- 3 feet now and covered with peppers. lol... I need to go pick them so they can make another wave or two before winter. Hola from Funkytown Fort Worth! Gulf Port? Reminds me that I need to go visit the hunting lease in Sandhill more often!!!! How's the Cut'n going around your parts? Doing just fine!! HOT...both in weather and peppers.... it's really a bit too hot at the moment. lol... if you're going to be down this way let me know a few days ahead (I may or may not be home) and you can visit the garden! Hello, I'm Sayward from Gulfport MS. I am not too good at computers so bear with me. lol... 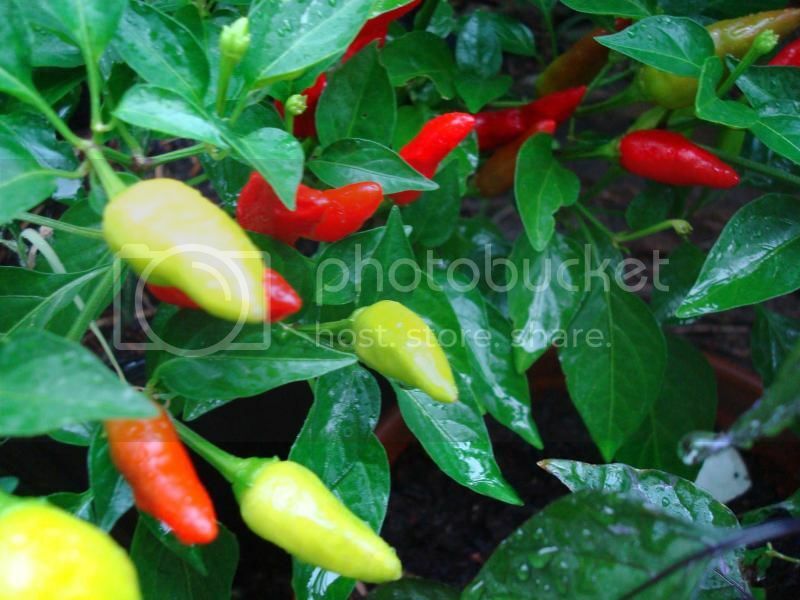 I have a large garden with a few greenhouses, chickens and rabbits... grow a large variety of peppers, they are my favorite thing to grow. Have mostly hot, some super hots, and a few sweet ones as well. I really enjoy seeing everybody's pepper plants and what they are growing, and am especially interested in growers who over winter their peppers or have a warm enough climate they don't need one. Gulfport is sub-tropical.... this past winter was so mild we didn't use any additional heat and everything was fine. The year or two before that, one of the coldest. (I was able to overwinter a 'Black Pearl' in a crazy makeshift cold frame thing with no additional heat - got down to 19 degrees...) So I'm always experimenting. I'm interested in trading, I will have to put up a list of what all I have.... I will be up front about MY homegrown peppers: they may be crossed. I know the feeling of thinking you're growing one thing and it turns out to be something totally different. (My 'peter' peppers aren't so petery. lol..) Sometimes, though, it's not a bad thing at all, and you can end up with something better than the original. Either way it's still a pepper and I'm ok with that. So in my list I will put 'store', 'trade' (I got these in a trade so don't really know the specifics on this either), and 'hg' home grown'. 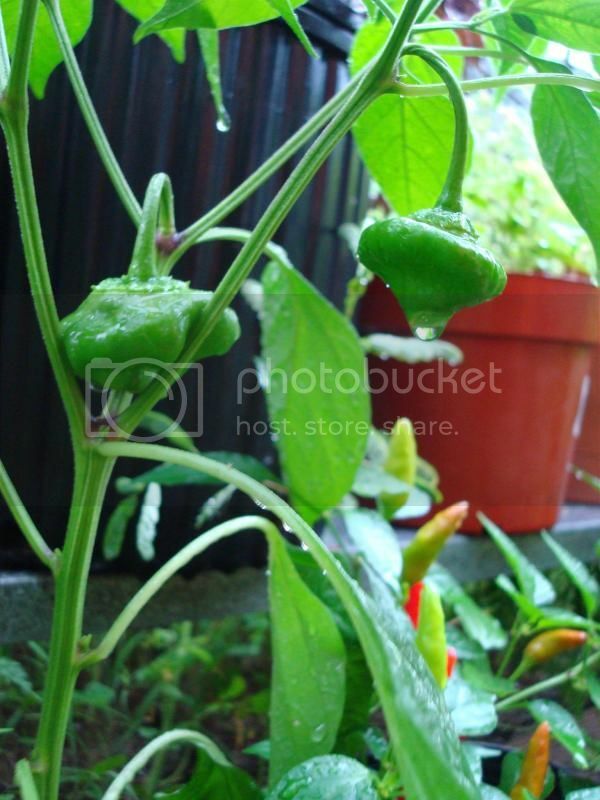 I am growing some super peppers this year for the first time. They have yet to flower so I may try some isolation techniques. I have a couple of greenhouses and plan to set up at least one more 'something'- maybe not a full fledged greenhouse, but SOMETHING before winter to overwinter my plants. So later this season if all goes well and it wouldn't burden the mother plant I may take a few cuttings. I love to share and am willing to share what I have. I have other things besides peppers but this is my main focus. I am an artist and a cartoonist as well.